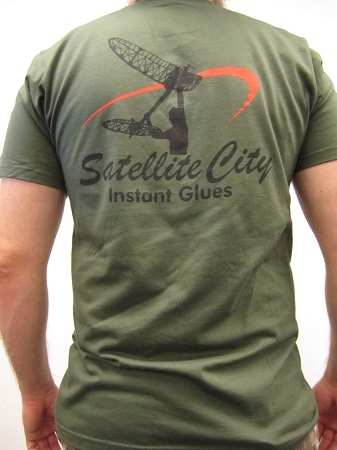 Look sharp and help us get the word out about Satellite City CA glue with one of our handsome, comfortable t-shirts. Made from pre-shrunk 4.5 oz. 100% combed ring-spun cotton, this shirt is lightweight, soft, and high quality. Logo is on the back, front is blank. Available in small, medium, and large, XL, XXL, and XXXL while supplies last. Get one free with any order over $100! Just add it to your cart, and if your total is already $100 or greater, your order will be discounted at the bottom by the price of the t-shirt. Limit one free item per order. While supplies last!